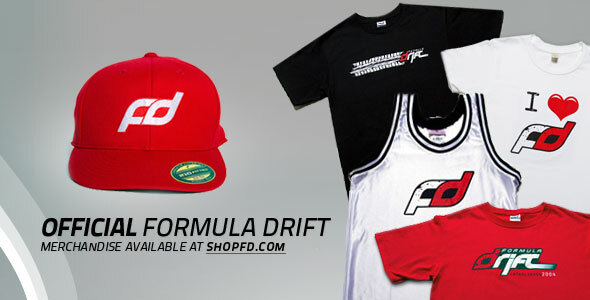 The 2012 Formula DRIFT online merchandise store will launch 5/15 at 12 midnight. To help celebrate the launch, we’d like to offer all customers a 20% discount* on their purchases until Sunday May 20, 2012. Be sure to visit ShopFD.com for the latest men’s and women’s drifting apparel and accessories. 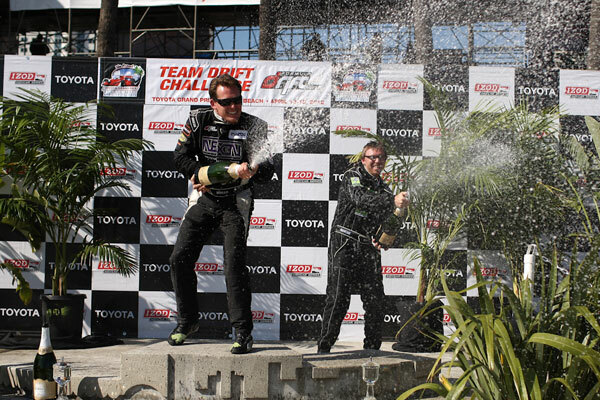 Long Beach, Calif. – April 15, 2012 – Formula DRIFT’s Team DRIFT competition during the Toyota Grand Prix of Long Beach concluded today with a victory from the team consisting of Long Beach native Kyle Mohan and the 2011 Rookie of the Year, Aurimas “Odi” Bakchis. 14 drivers paired up over the weekend to compete in front of thousands of spectators during the annual Toyota Grand Prix of Long Beach. Judged on tandem execution and style the teams put on a show through the entire street course. Guest judges Andy Yen (Formula DRIFT lead judge), 2011 Formula DRIFT champion, Daijiro Yoshihara and 2-time champion Tanner Foust awarded the win to Mohan and Bakchis. Coming in second place was the team of Taka Aono and Cyrus Martinez. Rounding out the podium with a third place team finish was the pairing of Walker Wilkerson and Dennis Mertzanis. 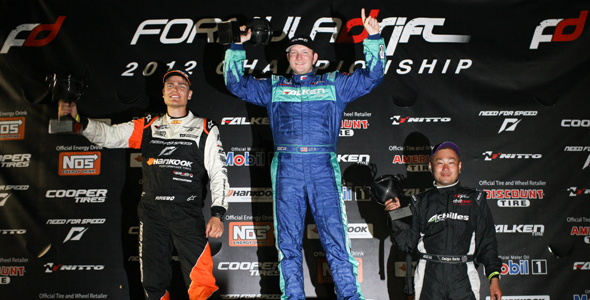 The Formula DRIFT Pro Championship continues with Round 2: Road to the Championship at Road Atlanta on May 11,12, 2012. 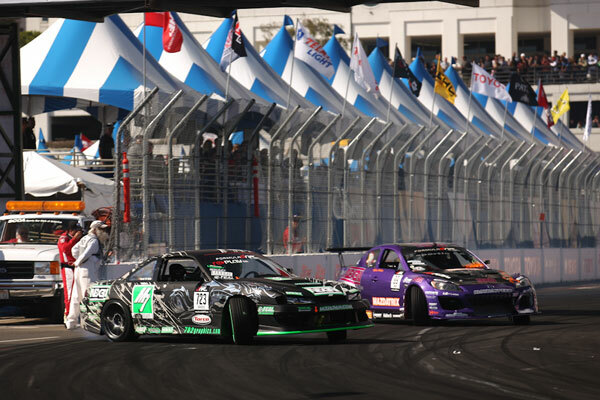 Long Beach, Calif. – April 12, 2012 – Formula DRIFT announced today that Replay XD will sponsor and support this weekend’s Team DRIFT competition at the Toyota Grand Prix of Long Beach from April 13-15. Replay XD and Formula DRIFT have teamed up to undertake a huge video production by mounting multiple Replay XD camera’s to all 14 of the Team DRIFT vehicles and film all the action on and off the track for an online video release to come after the event. Replay XD will become the exclusive POV camera for the Team DRIFT event and also be branded on each vehicle. The Formula DRIFT Team DRIFT Challenge will take place on Friday, April 13 at 9:35 AM, Saturday, April 14 at 8:55 AM and the main competition will be held on Sunday, April 15 at 3:40 PM during the Toyota Grand Prix of Long Beach event.